American Routes gears up for festival season by revisiting live performances from the 2017 Festival International, a showcase of French music from southwest Louisiana and the wider Francophone world along with blues, Chicano nouveau and swamp pop. 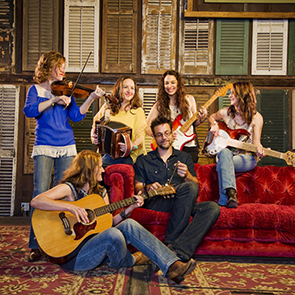 We hear female Cajun supergroup Bonsoir, Catin tear up the stage; bluesman Corey Harris ring out the Mississippi Delta’s West African roots; and blue-eyed soul from swamp pop legends Johnnie Allan, T.K. Hulin, and G.G. Shinn. 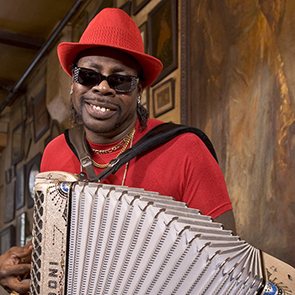 Plus, accordionist CJ Chenier, son of Clifton Chenier, proves he is carrying on the king of zydeco’s royal bloodline. Las Cafeteras from East Los Angeles give us a taste of Veracruz’s Afro-Latin jarocho music, including the folk-turned-pop song “La Bamba.” And Louisiana singer and fiddler Cedric Watson adds Caribbean and Latin flavors to his homegrown Creole sound.